 Everyone at IPPL is devastated at the loss of our 33 year old gibbon E.T. She was born in April 1984 at the Laboratory for Experimental Medicine and Surgery in Primates at Sterling Forest, New York. At six months of age, she and her parents Blackie and Penny reached IPPL for permanent retirement. When she matured, E.T. was paired with Donny who had come to us from a zoo in Northern Wisconsin. They formed a loving happy couple. Ten days ago E.T. stopped eating and our veterinarian Dr. John Ohlandt was summoned. She underwent exploratory surgery and materials were taken for testing. On 1 November she was taken to a veterinary specialist center and her case considered by a wonderful team of veterinarians. It was found that she had an incurable pancreatic tumor and she was put to sleep. She is buried with red roses in our gibbon graveyard. I am doubly sad because E.T. had been my good friend for 33 years and I will miss her terribly, as will her lovely mate Donny.